Monday I posted a picture of my nails on Instagram and got a big response. I decided to dedicate an entire post of my nail color today because "Houston, we have a problem!" 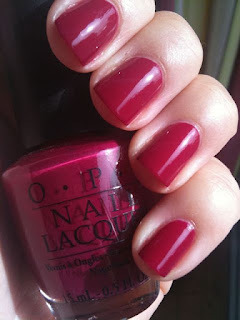 The color I had on my nails is unfortunately discounted! So I did a little research and there are some places you can still purchase this color (ie Ebay) and the prices are not too overboard! 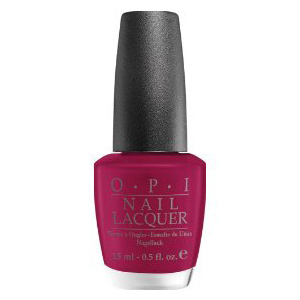 However, I wanted to find a good dupe that was readily available as I really do love this color especially for the fall season and it looks great with my skin coloring. 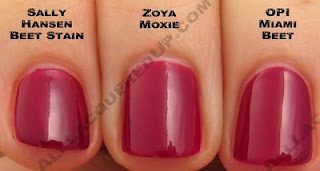 This color is very similar but not as deep and more berry and less cranberry! Didn't include the Sally Hansen as it is also discontinued! Which one is closer to My Throne for a Cranberry Scone? ?